And so to the book that the Classics Club Spin spun to me, and that I read the very next day on a six-hour train journey. Mr. Raymond was told that Mr. Horatio Leavenworth, a long-standing client of his firm, had been shot and killed in his library. That the door was found locked. That there were no signs of forced entry, no signs of any disturbance at all. And that no-one had been in the house, save Mr Leavenworth’s two nieces and his household staff. In the absence of his senior partners, Mr Raymond was in attendance as the coroner carried out his investigation. As the secretary, the valet, the cook, gave evidence suspicion fell upon Mary and Eleanore Leavenworth. Their own evidence did little to improve their situation, indeed it suggested that one or both were hiding something or sheltering someone. But Mr Raymond was charmed, and he was sure that they were innocent, so he undertook to support them and to make further investigations. But I also saw echoes of a book published twenty years earlier, and that led me to make comparisons to an earlier book that were less flattering to this book. Two young women in peril, with differing natures and differing prospects, and a young man who stepped forward as their protector. I had to think of The Woman in White, but neither Mary or Eleanore could stand comparison with Marion Halcombe, and while I could accept Walter Hartwright, a drawing master, following his heart and putting himself in jeopardy, I found it rather more difficult to accept Everett Raymond, a drawing master, doing the same. But, as a complex plot unfolded, the story held my attention, and my sympathies and my perceptions of the main players shifted. The characters grew. And I saw themes and situations that were very familiar – a society that restricted women, secret marriages, disfunctional families – and were all handled very well. I was very taken with the detective, Ebeneezer Gryce, who I am quite sure would have held his own against Inspector Bucket and Inspector Cuff, and I would have liked to spend a little more time with him. But he was bright enough to sit back and let the oh so willing Mr Raymond do the leg work. Anna Katherine Green created a wonderful mystery but I do wish she had written it a little differently. It was wordy, melodramatic, and often the characters would declaim rather than talk. And I didn’t need to be told that the Leavenworth girls were beautiful and charming quite so many times. The ending was a little disappointing. Not the logic – that worked – but the full confession that came with just a little push. If only there had been a bit more of a push and a bit less of an explanation it would have worked so much better. 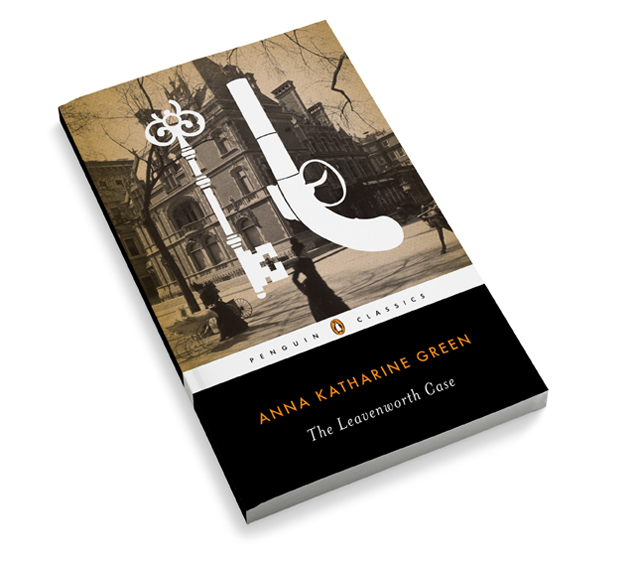 But I did like The Leavenworth Case: as a mystery, as a period piece, and as a significant book in the evolution of crime fiction. I have this book on my kindle, it is a book I have on my classics club list. You’ll like it I’m sure, when you’re in the mood for a little Victorian crime. I have a digital copy lurking on my PC (which is the nearest I get to a Kindle!) It sounds enjoyable but perhaps a little derivative as you say – I’m still very fond of Inspectors Bucket and Cuff, and also Poe’s early detective stories! I think there’s enough that’s distinctive to make this worth reading – and much of what is familiar comes from later writers. I think I’ve read somewhere that this is the earliest mystery story written by a woman, which intrigued me enough to download it. I need to re-read The Woman in White, sadly I can remember nothing about it. I’ve read conflicting claims, but it’s certainly early for much of what it does. The Woman in White definitely stands up to rereading – I did a reread last autums and now I want to work my way through Collins’ other books. So frustrating when you are reading a book which could have been brilliant but wasn’t quite. Not heard of this writer so I am intrigued, though. Not quitre brilliant, but still worth reading. There’s plenty to hold the attention as long as you don’t mind dealing with the 18th century style. I’ve heard of this book but didn’t really know what it was about until I read your post. It’s a shame there were a few problems with it but overall it sounds like something I would be interested in reading. I couldn’t recommend this to anyone who wasn’t used to Victorian novels, but I’m sure you’d get on well with it. It isn’t perfect but its definitely worth reading.